We are one of the manufacturer, supplier and exporter of Cup Washer for Automobile Industry. 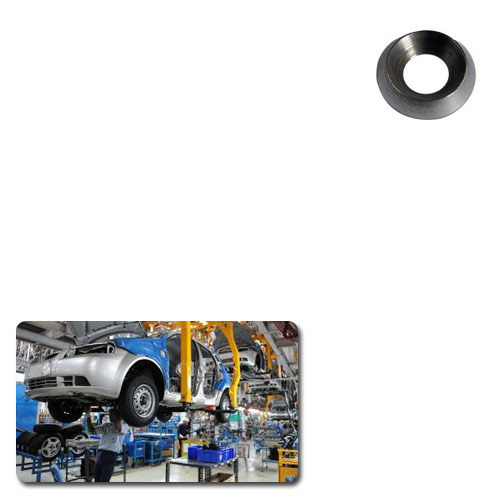 We have wide range of washers, which used in automobile industry. Apart of this we offered our products in market with affordable cost. The offered products are available with us in bulk quantities owing to our state-of-the-art and well-equipped warehousing unit. Our infrastructure is laced with modern machinery and advanced technology that help us to fabricate our entire range in bulk within less span of time to meet the mass requirements of our clients in a timely manner. Raw material of finest quality is used in the production process. In order to maintain smooth business operations, we have segregated our infrastructure into different departments such as manufacturing, quality control, R&;D and warehousing & packaging departments.